Fortnite: Battle Royale is the biggest game in the world, with millions of players jumping off of the Battle Bus and into combat each month. With any game this big, a community of content creators is sure to follow. Check sites like YouTube and Twitch, and you’ll find hundreds and even thousands of content creators who share Fortnite gameplay clips and other themed videos with fans. As GamesIndustry.biz spotted, Fortnite’s developer, Epic, is going to help some of those Fortnite content creators make some money off of their creations. It’s launching a new “Support A Creator” program, which will allow fans to support Fortnite content creators as they make in-game purchases in Fortnite. The Support A Creator program will launch the week of October 8, and run until December 31, 2018. During that time, Fortnite players will have the option to select a creator to support as they spend money in the game. If you’re familiar with AmazonSmile, Amazon’s charity website that lets shoppers select a charity to automatically support as they make purchases on the site, the Support A Creator program works in much the same way. Once players select an eligible creator, any time they make an in-game purchase using V-Bucks, it will help the creator earn money. 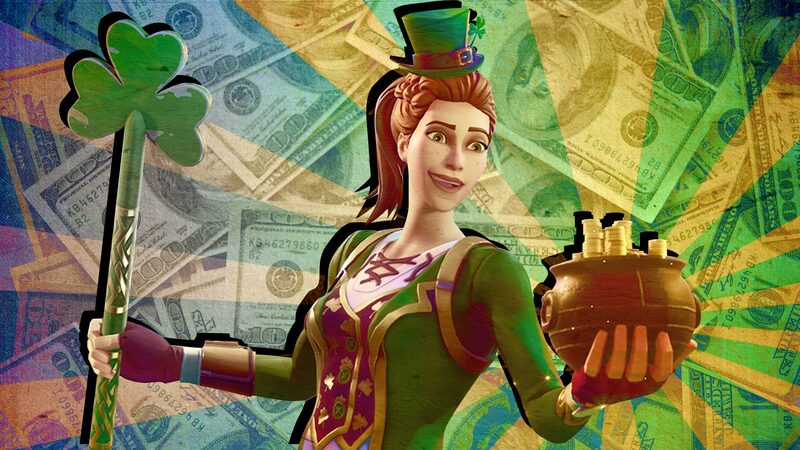 Specifically, for every 10,000 V-Bucks spent by all players who are supporting the same creator, that creator will receive $5. This counts for both V-Bucks that players have purchased, and any they may have earned for free. Once players choose a creator to support, their selection will last for 14 days. At that point, they can either choose the same creator to support during the next two weeks, or choose someone else. Users can choose the creator they wish to support by going into the item shop while playing Fortnite: Battle Royale, or into the Loot tab while playing Save the World, Fortnite’s premium game mode. If your teens create their own Fortnite content, they might be pretty excited about this program. However, they should know there’s a catch: Not every Fortnite creator will be eligible to support -- creators will need to apply and be accepted into the program first. If you or your kids are interested in learning more about the Support A Creator program, check out Epic’s website.